Vicki's career in the court reporting profession has spanned over 30 years, and she has become one of the pioneers in the field of CART and theatre captioning. Always willing to take on new and unique projects, Vicki has created a career spectrum that encompasses a dedicated client base, ranging from prestigious local attorneys to theatre and entertainment venues worldwide. 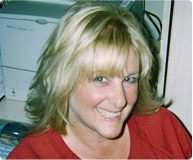 Vicki's integrity, accuracy, professionalism, and reputation have earned the trust of law firms nationwide, who repeatedly request her stenographic services for their high-profile cases. She has built steadfast relationships with her clients, extending mutual respect and loyalty towards each other. Expedited transcript delivery is Vicki's specialty, and her clients know they can always count on her to meet their requests. Vicki provided Las Vegas with its first open-captioned theatre performance, Hairspray at the Luxor Hotel & Casino, in 2006. Her list of theatre captioning credits continually grows as more venues become aware of the importance and benefit in providing accessibility to deaf and hard-of-hearing patrons. Whether captioning The Beatles Love or Phantom of the Opera in a 2,000-seat theatre, the comedy of Carrot Top in a Las Vegas showroom, or the entertainment on a Royal Caribbean cruise, rest assured you will receive quality service when Vicki is involved. She has realtime captioned many notable keynote speakers on site, such as Christopher Reeve, Former President Bill Clinton, Dr. Wayne Dyer, Jerry Lewis, Deepak Chopra, Dr. Maya Angelou, Robert Kennedy, Jr., Billie Jean King, Jane Fonda, Julia Stiles, Eckhart Tolle, Dr. Maya Angelou, and Mehmet Oz, M.D., as a small sampling.